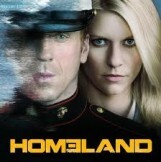 I’ve never even heard of Homeland! Thanks, Christy!! I love your enthusiasm and love that you’re on my side. I didn’t realize people could be so fanatical about green grass! Homeland is on Showtime, a drama about the CIA and a prisoner of war who comes home after 8 years, and nothing is quite as it seems. It’s all very gripping. Lol Heidi, I love your sign! I seriously hope that whole “water the grass all summer idea” dies out with the baby boomers. Its so outdated to do that. Grass goes dormant and then it recovers when it rains here ALL. Winter. Long. Anyways I also understand the not rocking the boat thing too, major avoider of conflict over here, so way to go! Jen, I know you would appreciate this. They’re upset that we’ve let the hydrangeas go too on the side of the fence. We’re going to pull them out, but, you know, we’re busy and haven’t had time yet. The front of our house is nice. I think that should count for something. Anyway. It’s intense over here. It makes me long for our previous house in FL where no one cared! And you know how much work that yard was. By the way, I made Scott put up that sign in the dark so we wouldn’t have to face anyone. I’m such a chicken. The only upside of the drought this summer was that we didn’t have to mow! Watering grass during a drought should only be a metaphor. Ann, I know! I was just saying how great it’s been not to mow. And this “Watering grass during a drought should only be a metaphor.” is awesome. I need to put that up on my next sign. Ugh. Nosey neighbors are the worst. Good for you for taking a stand! My wilty petunias and brown-around-the-edges basil salute you. I just had another neighbor ‘mention’ how the land needs watering. This time instead of halfheartedly agreeing, I told her the grass will grow back as grass is a weed. I can’t even believe this is what my life has become. Arguing about the grass. hehe i love your husband for making your own sign. 🙂 awesome. Hi Christina! Yeah, I need a thicker skin. But, you’re right, it’s tough not to care when you are surrounded by people who care. LOL to your last line…well said! Not crazy at all dear! It’s human to care about what other people say about you – especially when you overhear it. Especially when its people who live right next to you. But you have the moral argument and they just have an aesthetic argument. And “good on you” for putting up that pithy and hard-to-argue-with sign. “Go golden to say green” PERFECT!! I can’t take credit for that slogan. It’s from an environmental group out here – it’s perfect and, like you said, hard-to-argue. I actually find the amount of water use appalling. It has been a lesson to me, though. It’s okay to rock the boat once in a while and not everyone will like me AND that is okay. It’s such a small, dumb thing, but I was surprised at how much this bothered me. I think it’s the judgment of it all that gets to me. Over something as ridiculous as a lawn. People are crazy. Ha, good for you! What pushy neighbors. Sheesh. People are idiots, as my husband says. Really, yellow grass is such a traumatic issue that they have to point and make you feel ashamed. That is just to petty. I have to admit, I would feel the pressure to fix it as well. I love that you guys put up a sign and stuck it to them. That is awesome!!! Thanks, Nicole! I don’t get the obsession with the perfect lawn. I mean, I like a pretty yard too, but it’s a little intense around here. I have to admit I still feel the pressure to fix, but I’m not backing down. We are terrible with our plants, too. We got a gorgeous hanging basket from my sister-in-law and it was beautiful for about a week..week and a half. It died a slow death. I’ve been keeping up with things that don’t require too much water, but I just refuse to water the grass. It does feel awful to be judged, but I’m trying hard to stand my ground here even if it’s an unpopular decision. OMG Heidi, I can’t even tell you how this hit home for me. Literally with watering the lawn (and we live in the freakin’ desert and hopefully I’ll have the $ by next year to finally replace the whole front lawn with rocks), but also in other ways. I’m sitting in front of my computer crying like a little girl. That’s probably because I’m crazy as well. I am almost 41 years old and still can’t let things go… know that I have to stick up for myself and I do, but I always feel like I’m outside looking in, struggling to find my place. At work, on Twitter, on my blog. It’s exhausting. I love that you guys made that sign, that’s awesome. Kerstin, I hear ya. Isn’t it amazing that after all this time we still struggle with the same things? Well, that’s my story anyway. I am great in crisis, but aim some judgment at me and I’m undone. You are not an outsider here. No way. Ever. I love that you made your own sign and that you listed your reasons for not watering. Our lawn is currently a lovely shade of wheat. Seriously, good for you! There were years in CA where we had to do that. Now I’m in NJ and the grass is always green. Thanks, Stacie! It rains here most of the time, but we happened to get this long stretch of sun with no rain. And I think everyone lost their minds. So funny – I would probably be too wimpy to respond. But I could probably pull of the “who cares.” I’ve found that since we moved to suburbia, I’ve been VERY good at saying “who cares.” Or it might be since I had three children (which coincided with the move to suburbia)… Either way, I’m not too concerned with what people think about me these days. It’s a very nice way to live. Thank you, Stephanie! I appreciate the support. I really do. Your post was such a good one. You, my friend, are a gifted writer. Haha! I’m going to go with yes. Oh goodness, what a golden post. When we KNOW who we are, we no longer will be swayed by what we think others think about us. When we KNOW who we are. We also went golden, to stay green. And again, my friends are on the internet. The right choice is not always the popular choice. So sorry about this. All the clucking. The stupid clucking over YOUR business. I can’t believe when I read things like this, but I see it go on. Every day, in my life, too. I can not believe this! Good for you for putting up a sign!! Love that you took a stand and your husband for being on board. I’m afraid mine would’ve told me to get over it, which would’ve made me feel even more silly because I’m sure I would have reacted exactly the way you did. PS- We never water our grass in the summer. It always grows back. Heidi, I water our plants, but not our 6×6 swatch of lawn. It’s 50% moss…I kinda like it that way. I think ours is one of the better looking yards, so I don’t get judgement about my lawn. But our strata cries about “home value” regarding others. I’m a big fan of native plants that don’t need special treatment. When I first learned of Homeland in April, my hubby was out of town. I watched all 14 episodes in 36 hours. I told him and some friends and they all did marathons becoming addicted. It was the show I most anticipated this fall. Needless to say, I’m way more than hooked! The premiere was good.